My family has the weekend routine set in stone: go to church then head over to the mall for lunch and go grocery shopping for the next week’s supplies. After years of the same routine over and over again with no variation besides the choice of malls and restaurants, it can get monotonous. And in a family of six, four of those being the children, monotonous means boring. Family time is important, but if it’s the same thing every weekend, quality time with the fam might soon lose its spark. So this weekend, consider you and your family booked for something new and exciting as The Future Park, together with Nestlé Nankid Optipro Four as one of its major sponsors, launches Future City: An Interactive Digital Park! RELATED: You Can’t Miss This Pop-Up Interactive Digital Park in Manila! You better not let this fun and stimulating event pass as they are only open for just this weekend, September 9-10, from 10:00AM-9:00PM at the SMX Convention Center, SM Aura. All in all, Future City Manila has six interactive installations that are one-of-a-kind technologies from all over the world. And this futuristic park isn’t just for kids. It’s also for the kids at heart, mothers, fathers, and friends! Explore future innovations as you enter the Future Dome where amazing graphics depicting the future appear on the dome ceiling. Right off the bat, you know your family’s sure to have a blast! Other activity stations include a sketch station where your illustrations will be shown on screen right after you draw them, an interactive wall game station, and a station where parents can enter their family history to help determine the possible health conditions their kids might inherit as a helpful precaution, and more fun games and activities! Mothers and children alike had fun throwing these cubes at junk food and other unhealthy options to protect the kids on the interactive wall! What a way to teach kids healthy eating, right? The Family Health Screener was created to help families have an idea of what their kids’ health could face in the future. This great innovation could definitely lead to better-prepared kids everywhere. This interactive wall is both engaging and educating! Future City helps families see how bright and wonderful the future can be, just like how Nankid Optipro Four is specifically designed to help ensure every child’s healthy future through the power of optimized protein for a child’s growth and development. 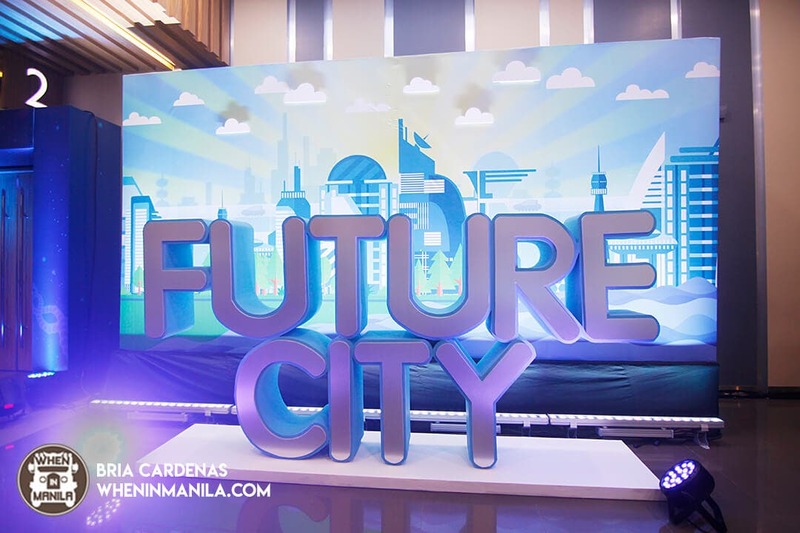 It’s best to prepare your kids for the bright future that awaits them, and that’s exactly what you can do while having fun at Future City Manila! So don’t miss this interactive activity to be a future-ready family! Tag more of your friends and families in the comments and bring them along this weekend to make the activity even more fun and exciting! *NANKID OPTIPRO Four is not a breastmilk substitute. It is a powdered milk drink suitable for healthy children above 3 years of age. Win an Instax Camera here! an INSTAX SQUARE SQ10 CAMERA! The Instax Square SQ10 is the latest addition to the Instax family, with a 3-inch LCD display, 2.4 aperture, an internal memory of up to 50 photos, a micro SD card support, and a built-in editing feature! The camera is worth around 15,000 php, but you can win it right here from this post! The raffle will run from September 9 to September 16, 2017 and winners will be announced on September 22, 2017 in this article. Read on for the complete details. Contestants should be at least 18 years old or above to join. Contestants should own a valid ID. This contest is open to Greater Manila residents who are willing and are capable to claim their prize at Bagumbayan, Quezon City between September 25-27. Exact address will be given to the winners. This contest will run from September 9, 2017 until 11:59 pm on September 16, 2017. The winners will be announced on September 22, 2017. Please check back on this article for the announcement! Four (4) winners will be chosen: one (1) grand prize winner and three (3) consolation prize winners. The winners will be chosen through an electronic raffle via Rafflecopter. The winners will be contacted privately with the complete information on how to claim their prize. WhenInManila.com reserves the right to forfeit contestants violating our contest terms. In the event of unforeseen circumstances, we may alter, amend, or cancel the competition without prior notice. We reserve the right to change these terms at any time. – Don’t forget, your post privacy should be set to “public” so we can see it! 2. Provide your contact details (full name, email address, and mobile number) so we can contact you in case you win!